LA based British pop-rockers Minibar release Fly Below The Radar on new London based indie label Excited Recordings. Formed in London during the mid-90’s, Minibar relocated to LA in 2000 to follow the California dream, and debut UK release, Fly Below The Radar positively oozes with that glorious west-coast cool. Comparisons have been made to the melodic pop of Evan Dando, The Thrills and Ryan Adams, however Minibar’s classy combination of intricate melodies and blissful acoustica have seen them emerge as one of LA’s favourite adopted folk-rock offspring, rising alongside their contempories, and drawing praise from all corners of the US media. With soaring three-part harmonies backing the sweet rasp of Simon Petty’s vocals, the California sound is eloquently mixed with classic British pop influences, as Petty states 'The harmonies may stack up west coast style, but the music nods to our British roots.' Fly Below The Radar is a melodically mesmerizing album about life, love, and loss, filled with soaring rootsy grace and timeless West Coast style harmonies, effortlessly capturing the beauty and darkness of the jagged Californian landscape. 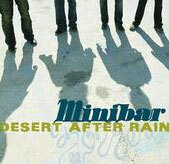 Minibar are: Simon Petty (guitar, vocals), Tim Walker (pedal steel, guitar, vocals), Sid Jordan (bass, accordion, vocals,), Malcolm Cross (drums, vocals).